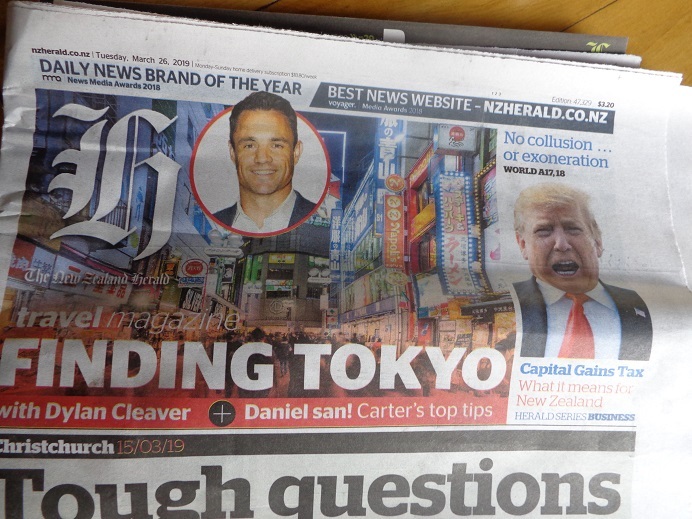 Have you looked at today’s (26 March 2019) New Zealand Herald? The Travel sections show all sorts of info on Japan! They are about Tokyo, Kobe and what to do in Japan etc. There is a big ad on a trip to Japan there! It must be because of #RWC2019 !